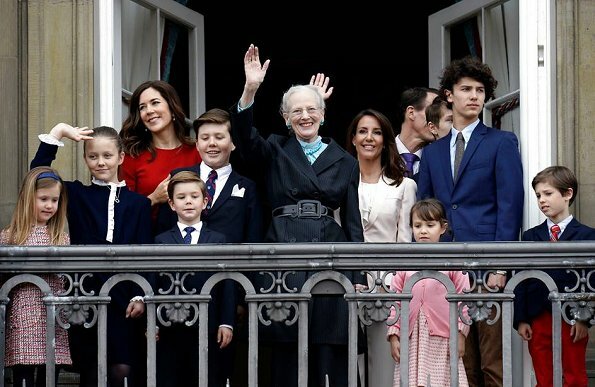 Today is April 16 and Queen Margrethe II of Denmark celebrates her 78th birthday. 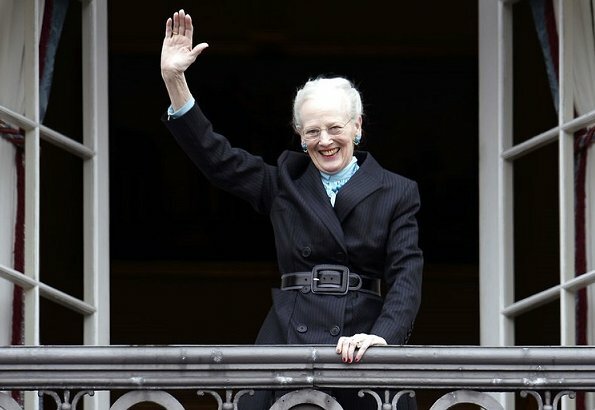 Princess Margrethe was born on April 16, 1940 at Amalienborg Palace in Copenhagen. 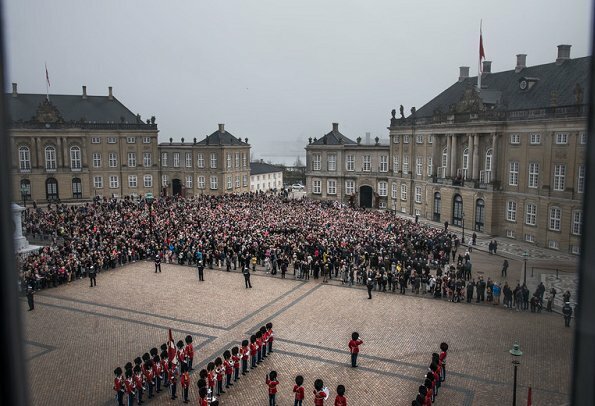 This year, the Queen celebrates her birthday at Amalienborg Palace. 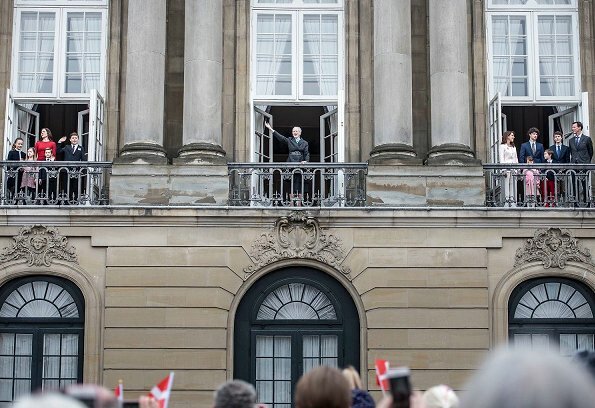 On April 16, 2018, Monday, Danish Royal Family, Queen Margrethe, Crown Princess Mary, Princess Isabella, Prince Christian, Princess Josephine, Prince Vincent, Prince Joachim, Princess Marie, Prince Henrik, Princess Athena, Prince Nikolai and Prince Felix greeted people from the balcony of Christian IX Palace in connection with 78th birthday of the Queen. 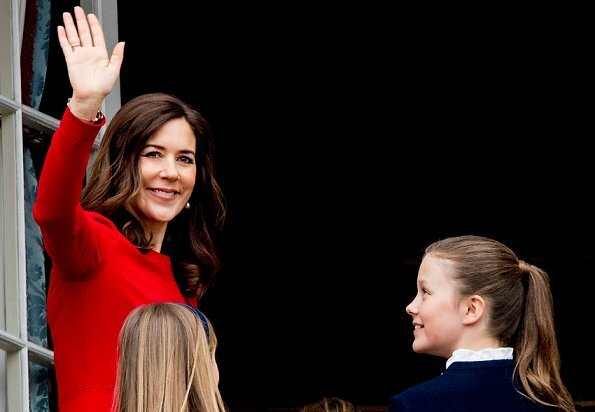 Felicitaciones a la Reina en su cumpleaños. 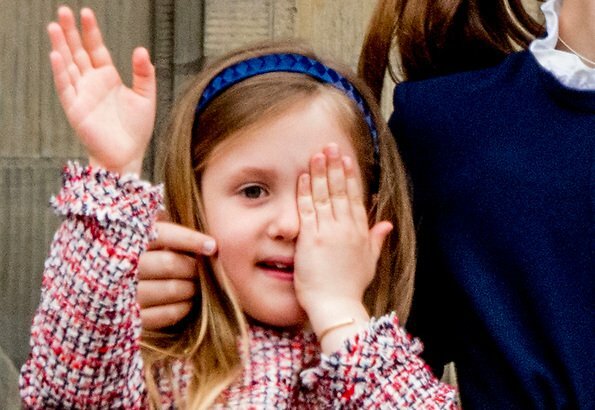 lindas fotografias con sus nietos, y brillo por su ausencia el principe Federico. First birthday sans Hendrik. 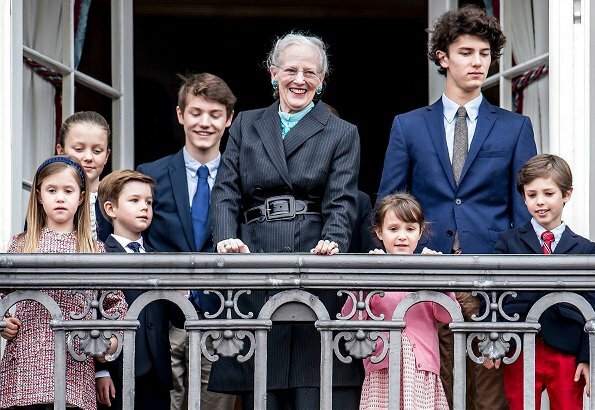 But she has such a nice family! 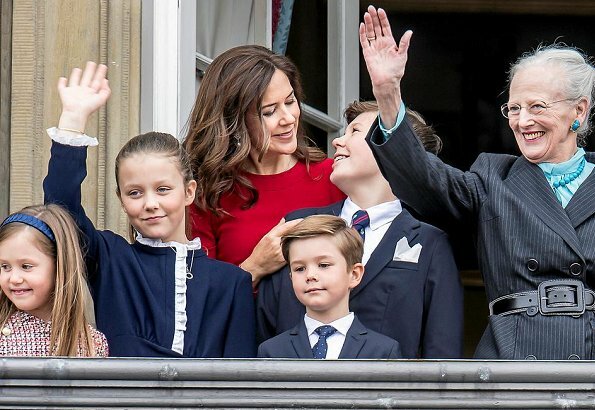 Tillykke med fodselsdagen! CP Mary once again perfect as always, everyone else is getting a thumbs up too.This D&G dress seems to be the go to dress for the Royals, for me too. 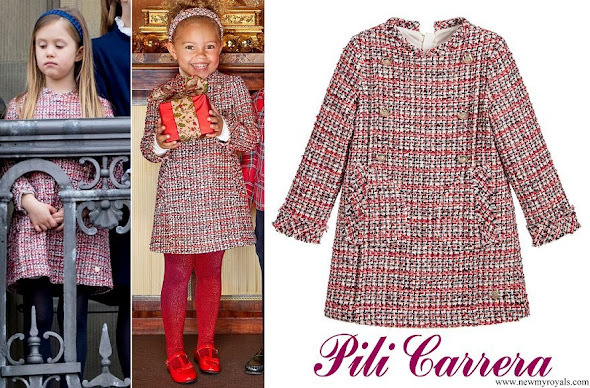 I love Marie's 'dusty pink' jacket, but I'm not so sure about Nikolai's hairstyle!! 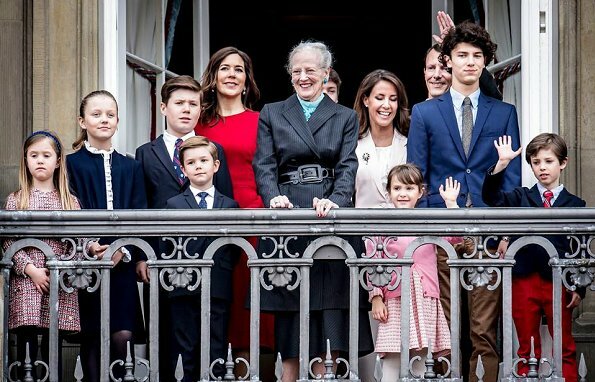 Great to see Queen Margrethe surrounded by all her lovely grandchildren! 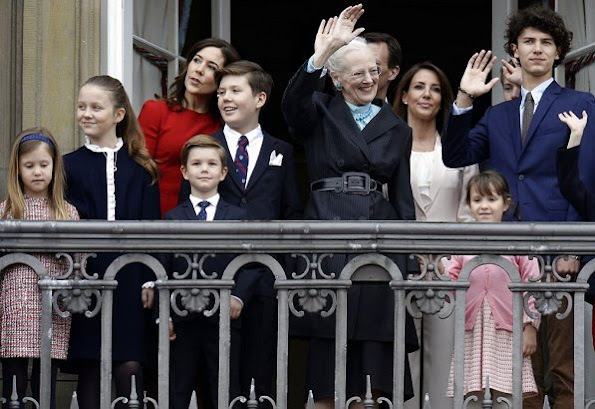 A bittersweet occasion for Queen Margrethe. 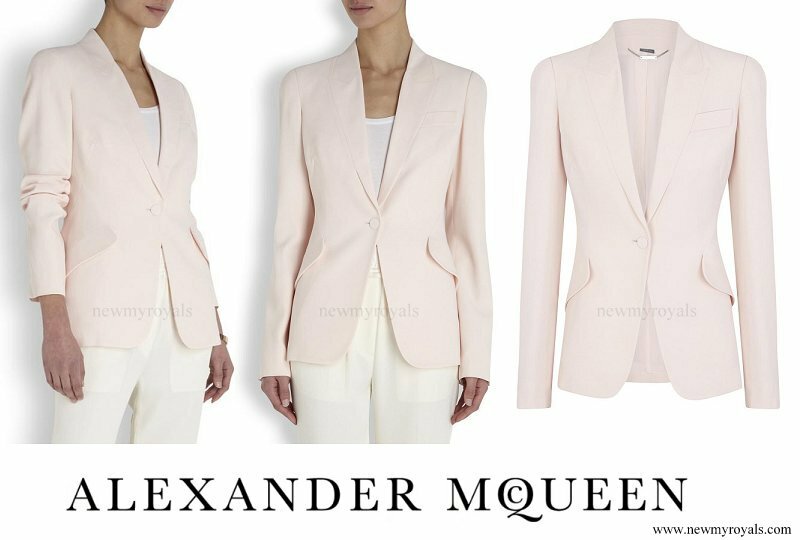 Pleased to see she is looking happy and relaxed. Love the photo of Mary and Christian and the photo of Isabella lovingly looking at her Mother, beautiful.